In what it is calling the “most significant tech acquisition of 2018,” IBM announced today that it will acquire Red Hat, a global provider of open source cloud software. 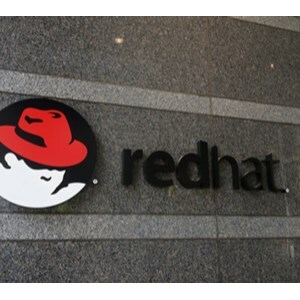 The two companies have finalized an agreement subject to Red Hat shareholder and regulatory approvals, which is expected to close in late 2019. According to IBM, the “acquisition will be free cash flow and grow margin accretive within 12 months, accelerate revenue growth and support a solid and growing dividend.” The total value is approximately $34bn, with IBM paying out $190.00 in cash per share. The deal is reportedly IBM’s largest deal ever and the third-largest in the US tech industry, said CNBC. In an interview with CNBC, IBM CEO Ginni Rometty said, “This is all about resetting the cloud landscape, and this is to create the number-one company that will be the number-one cloud provider.” As more organizations continue to transition their workloads to the cloud, cloud providers will need to be hybrid and able to handle multi-cloud environments. As reported by IBM and confirmed by Red Hat, Red Hat will continue to operate as a distinct unit within IBM’s hybrid cloud team. Red Hat has always been and will continue to be open source, according to Jim Whitehurst, CEO of Red Hat, who will join IBM’s senior management team. In discussing the deal, Whitehurst said that Red Hat is a neutral sell that works across all platforms. For customers, the deal is not only about maintaining choice and running across all platforms but also about being able to build unique offerings.